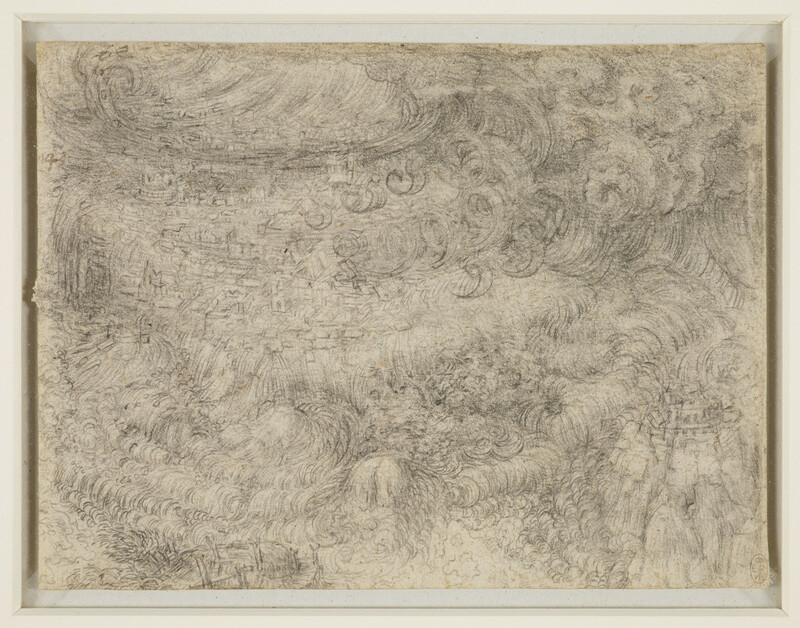 A drawing of a bird's-eye view of a city on a hill, upon which a deluge has broken out. To the right, an outlying fortress on a rock is assailed by the elements, and a wood is almost overwhelmed. The foreground is filled with swirling, bubbling water.